He was unable to, after collapsing in the middle of New York City trafficat 2 a.m. this past Labor Day weekend. In a statement addressing the incident, NYClass criticized New York City Mayor Bill de Blasio for not speaking up for Norman's case despite aligning himself with animal advocates — de Blasio is the first New York mayor to hire a point person for animal welfare issues in the city in recent history. 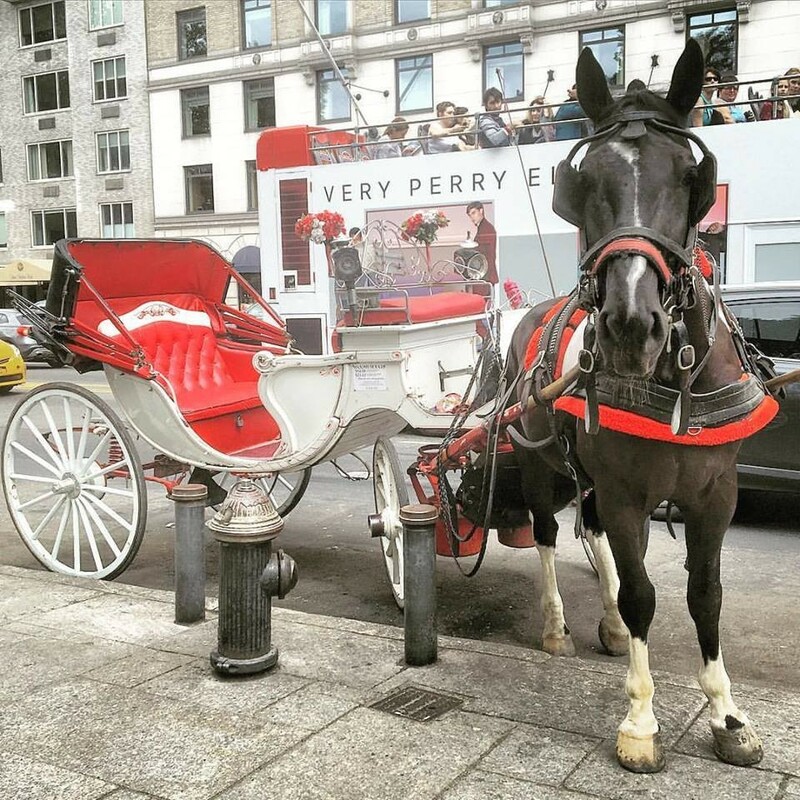 Change once appeared to be on the horizon for New York's carriage horses — a staple feature of Central Park for eager sightseeing tourists and romantics. De Blasio championed an initiative to limit New York's horse carriage industry, only to see the bill fizzle after it was rejected by the New York City Council. 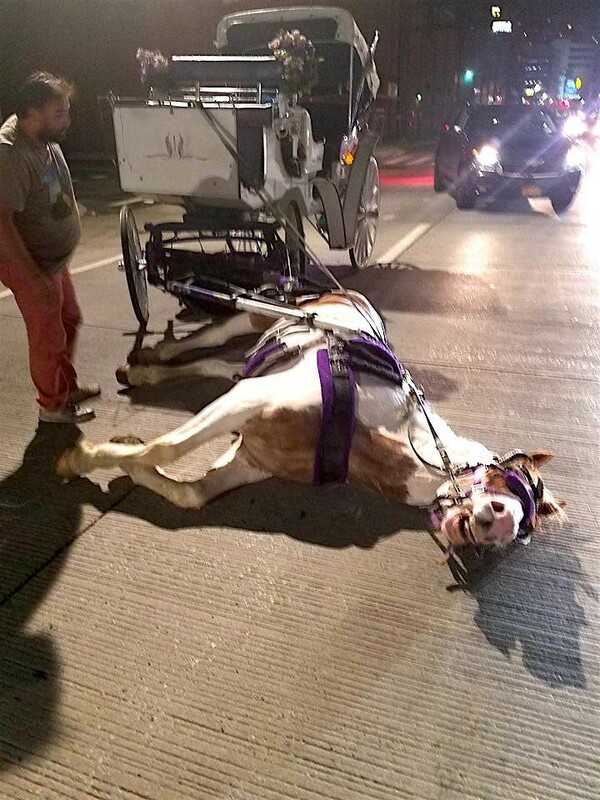 Not only are carriage horses forced to work in inhumane conditions,such as during heat waves, they're also prey animals — meaning that they have a strong "fight or flight" reaction that can be triggered when exposed to anything unexpected. That, combined with the busy New York City environment, makes it all too easy to overwhelm a horse — and makes accidents more commonplace. Horse racing is a gambling and haram in the first place, it is inhumane obviously. NEVER EVER RIDE ON ANIMAL when it is obviously torture to them. Elephant ride, horse ride in a busy city, is obviously only beneficial to greedy people. Busy street with the fast car, traffic rule, traffic jam, always hurry cars rider, and crowded place is surely stressing the horse. 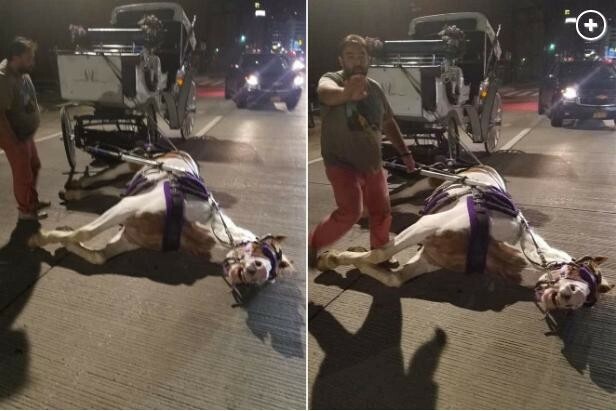 Im not in the shoes of the horse owner that make living from the horse carriage, but I hope that he will appreciate and respect the horse as ones that working with them, please dont be abusive and please treat them kindly. Educate anyone that RIDING ANIMALS IS NOT A SWEET THING, ALWAYS BE CAREFUL AND DONT BE SELFISH. May Allah bless the kind heart. Amin..